Everyone seems to have lobster fever this time of year, so starting September 1, 2015 and concluding September 7, 2015, we’re going to run a Lobster Dish of the Day for a while to let your eyes feast on some interesting lobster dishes and to tell you where in Connecticut you can find them. 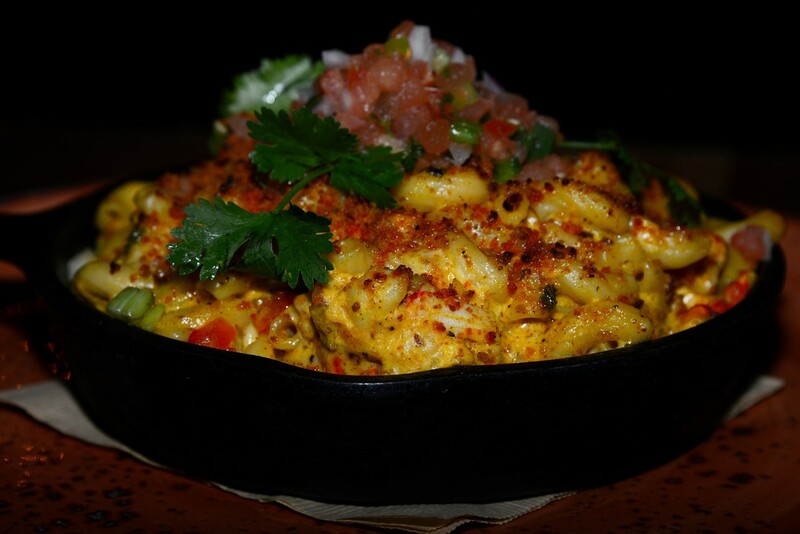 Geronimo Tequila Bar & Southwest Grill, in New Haven and Fairfield, offers a memorable lobster and chorizo mac & cheese. This dish is a wonderful, gooey, rich, flavorful combination of lobster, chorizo, bell pepper, scallion, cilantro, creamy cheese sauce, cornbread crumbs and pico de gallo. Wash it down with beer or Tequila. THE VERDICT: Geronimo in New Haven and Fairfield has terrific Southwestern-themed food, including its lobster & chorizo mac & cheese. FEEDBACK: Tell us about your dining experiences at either Geronimo.